We’ve already covered how you can flash CyanogenMod 9 Alpha for Nexus/Galaxy S and in today’s guide, we’ll be covering how you can flash CM9 for the Galaxy S II. News of the custom ROM comes straight from XDA-Developers – a popular forum for Android hackers, developers and enthusiasts – in the form of a thread posted under the Galaxy S II sub-forum. Before you get into flashing the ROM on your Galaxy S II, please note that this is a highly experimental build with loads of bugs and stability issues. It is not at all ready for daily use and you are recommended to stay away from it unless you’re an Android enthusiast with advanced knowledge of rooting, flashing and restoring in case something goes wrong. As always, your device must be rooted and have ClockworkMod Recovery flashed. Besides this, the developer has asked interested enthusiasts to be running on a Ice Cream Sandwich-based bootloader. 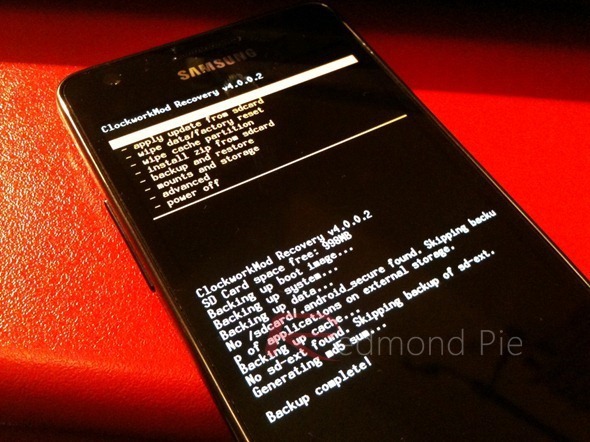 You can follow our guide on how to root Galaxy S II and how to flash ClockworkMod Recovery but you will have to search for an ICS-based bootloader on your own, and then flash it using ODIN. Once you’ve met all pre-requisites, follow the guide after the disclaimer! Step 2: Transfer all of these files directly under the /sdcard directory on your Galaxy S II. Step 3: Reboot into ClockworkMod Recovery. You can either do this from ROM Manager by tapping on Reboot to Recovery or you, if that doesn’t work, shut down your device. Once it is completely turned off, press and hold Volume Up + Home + Power button to boot into ClockworkMod Recovery. Step 4: From the main menu, take a nandroid backup from backup & restore > backup. After backup is complete, do a wipe data/factory reset. Step 6: Select reboot system now from the main menu. 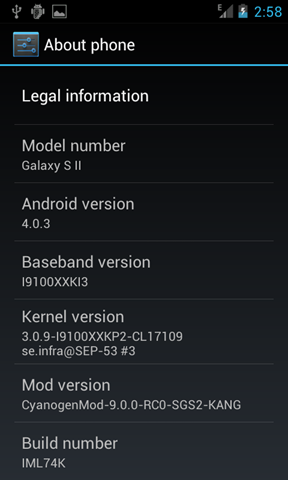 If you followed the steps correctly, your Samsung Galaxy S II will now boot into CyanogenMod 9 based on Android 4.0.3 Ice Cream Sandwich. Official Android 4.0.1 Ice Cream Sandwich ROM With TouchWiz Leaked For Galaxy S II, Here’s How To Install/Flash It Now!